Engage Alamance is an exciting quarterly series built upon the primary belief that participation is greater than observation. We work to re-engage Alamance County and its access to entrepreneurship through community development and practical next steps. 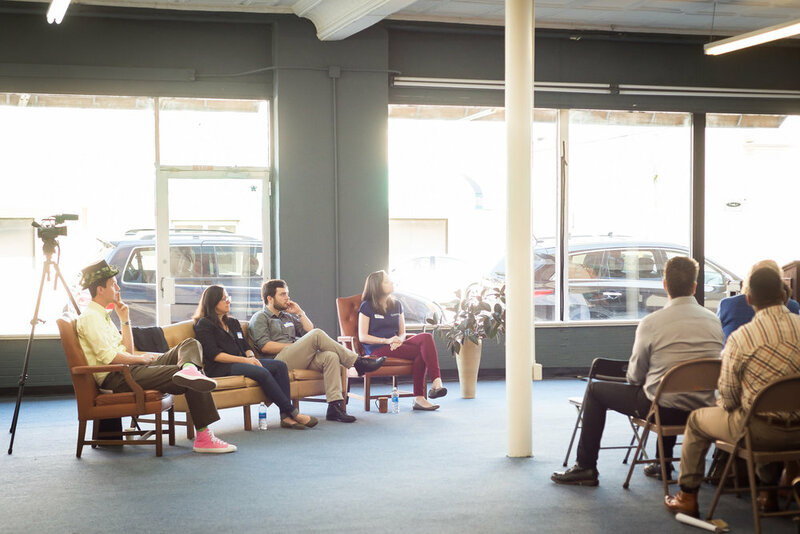 More than just having a conversation, we want attendees to leave with tangible ways to connect, innovate, and collaborate within our community. Over 120 people came to Southland Electrical Supply in Burlington, North Carolina for our second installment in the Engage Alamance series. Our first installment focused on why we need to re-engage Alamance County -- this event, we were focused on the how. Attendees heard from Katie Chung, Manager at Southland Electrical Supply and Board Member for Alamance County's Awesome Fund, Jensen Roll, CoOperative's Executive Director, and Claire Haslam, an Alamance County Community Entrepreneur. Paul Koonts, Chair of the Board of Directors at Alamance Chamber, was our keynote speaker. Lastly, Burlington Mayor and Awesome Fund President, Ian Baltutis, presented the first recipient of the Awesome Fund. Listen to each speaker below, flip through photos, and check out our recap from our first installment.